Echo Kellum Married, Wife (Spouse), Girlfriend, Is He Gay? Home Actors Echo Kellum Married, Wife (Spouse), Girlfriend, Is He Gay? 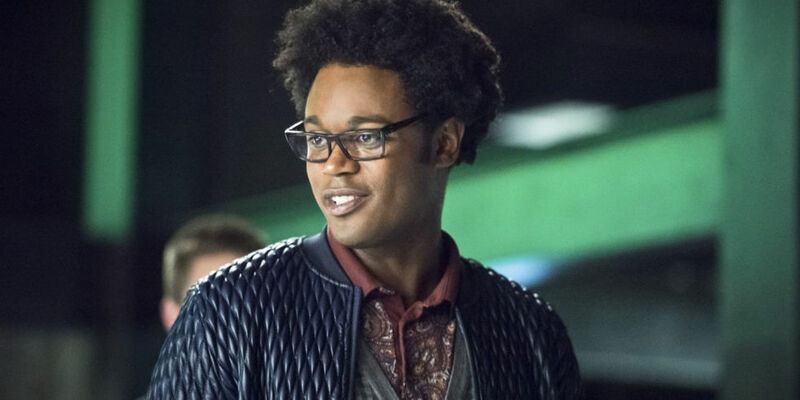 Echo Kellum has been around for quite a while now, but the actor and comedian began to gain a lot of traction following his role as Curtis Holt on The CW drama series, Arrow. He began playing the role from the fourth season at a recurring level. However, following positive reviews from viewers, the role was upgraded to a series regular from the 5th season. Before his high profile Arrow role, Kellum had established his presence with roles in television shows like Ben and Kate and Sean Saves the World. Many TV lovers have become increasingly interested in the actor and this article aims to answer all the questions that have been asked about him in recent years. Echo Kellum’s character in Arrow didn’t stand out for its superhero skills but for the fact that he is gay, a married one at that. His character Curtis Holt/Mister Terrific is loosely based on the DC Comic Universe character, Michael Holt. Unlike in the original comics, Kellum’s Mr. Terrific is openly gay and happily married to a man named Paul, which is perhaps a gender-swapped version of Michael Holt’s wife named Paula in the original comics. The change in the sexuality of the character was enough to raise eyebrows as well as stir up interest in Echo Kellum’s own real-life sexuality. As often the case when actors play a homosexual character in films and TV shows, many viewers began to wonder if Kellum could be gay in real life. In a bid to find answers, viewers have taken to online search engines and consequently, searched phrases regarding Kellum’s sexuality. For example; “Is Echo Kellum really gay”, “Is Echo Kellum Married”, and “Does Echo Kellum have a girlfriend” are top among searches relating to the Chicago native. Heightline.com conducted a research and we’ve discovered that though Kellum summoned the courage to play a gay superhero role, he is actually straight in real life. How did we know? Well, while it is true that the actor hasn’t spoken about his real-life sexuality (he is actually of the opinion that his Arrow character’s sexual orientation is the “Fifth-Most Interesting Thing About Him!” ), a trip to his social media pages, especially Instagram, reveals that he is in a romantic relationship with someone who is a “she” and not a “he”. Wife (Spouse) or Girlfriend Is Echo Married? Nope! The romantic relationship we discovered Echo Kellum to be in has not yet been legalized, in other words, Kellum is not married. The actor is dating actress and comedian, Lyndsi LaRose. They have been dating since June 2017. LaRose took to her Instagram page to celebrate their one year anniversary on the 5th of June 2018. The two are obviously a fun-loving, and adventure-loving outdoor couple. It is not clear how the two met but chances are that it could have been at a Groundlings performance. Kellum is a graduate of The Groundlings, I.O. West and LaRose has severally performed with her all-female improv comedy troupe, Radcliffe Comedy at The Groundlings in Los Angeles. Strong suspicions are that the two share a similar sense of humor. Like Kellum, LaRose has done well for herself in the entertainment industry but is yet to become a household name. Born on the 17th of October, she graduated from Peninsula High School and would later attend the University of California, Los Angeles from where she graduated with a Bachelor of Arts (B.A.) degree in Theatre in 2012. In her senior college year, she began working as an Assistant Event Coordinator at Geffen Playhouse in Westwood, California. In May 2015, she became a professional actor recognized by the SAG-AFTRA. She has appeared in a couple of well-known films including Ant-Man (2015), Insurgent (2015), Sleight (2016) and the Comedy Central sitcom, Workaholics. Since 2015, Kullen’s girlfriend has been volunteering at the Young Storytellers Foundation, a non-profit organization that is aimed at helping young people, especially in California to discover the power of their voice. Outside of acting and comedy, she has racked up a decent experience working in development, production, and writing at Fresno Inc. and Studio71, LP. She worked at the latter as the Executive Assistant to the President of Unscripted Development.